February 28: Parent Informational Meeting at Chesak, 6:00 p.m.
March 20: Parent Informational Meeting at Mackeben, 6:00 p.m.
May 8: Parent Informational Meeting at Leggee, 6:00 p.m. The same information will be presented at all events, and families may attend any session regardless of which school their child will attend. 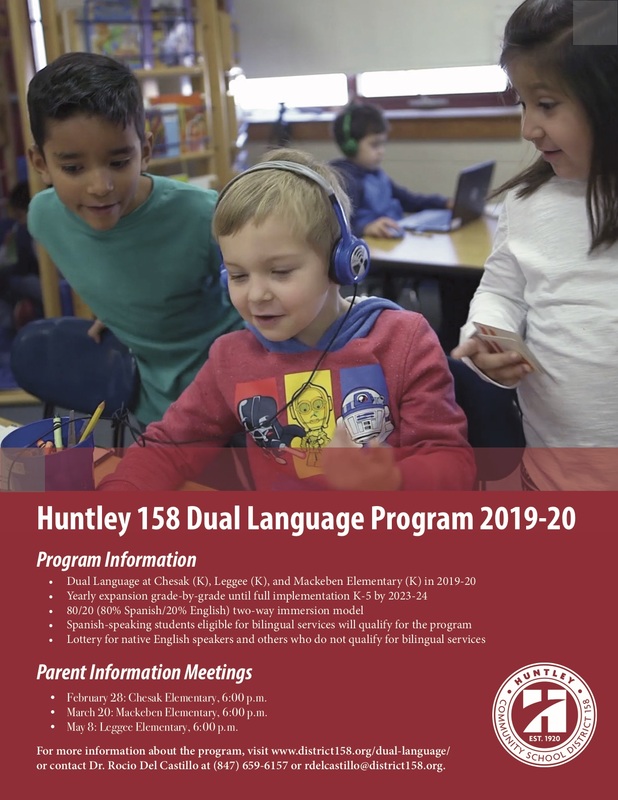 Find more information about the program at www.district158.org/dual-language.